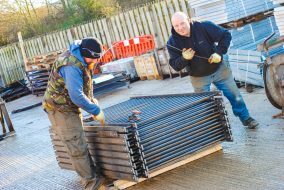 Established in 1985 we are one of the UK’s leading manufacturers of metal railings, gates, pedestrian guardrail and other bespoke architectural metalwork. 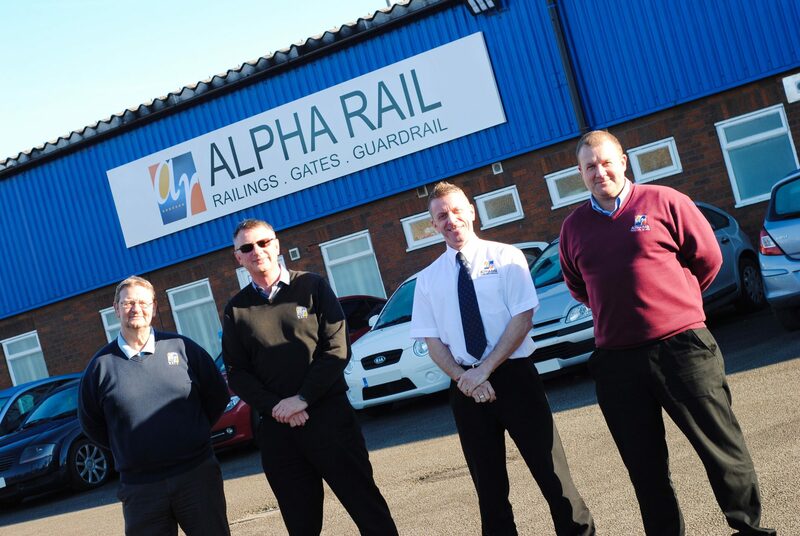 Established in 1985, Alpha Rail has over 30 years of metal fabricating expertise and is one of the UK’s leading manufacturers of metal railings, gates, pedestrian guardrail and other bespoke architectural metalwork. We are a founder member of the Association of Fencing Industries (AFI, formerly the European Fencing Industry Association) and affiliate members of British Association of Landscape Industries (BALI). All our metalwork is manufactured in-house to very high specifications and we are a Quality Assured company with certification to ISO 9001 : 2015, ISO 14001 : 2015. We are also a member of Constructionline which is the UK’s register of pre-qualified local and national construction contractors and CHAS (Contractors Health & Safety Assessment Scheme) accredited. 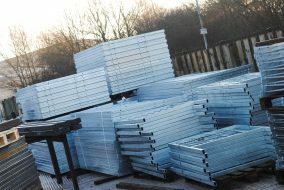 We have a highly skilled in-house team of technicians, metal fabricators, installers and support staff and recently located to a new purposely designed factory in Huthwaite, which is located near junction 28 of the M1 in North Nottinghamshire. All of our site based staff are fully trained with all relevant qualifications including SSSTS for site supervisors, and CSCS cards which are a mandatory requirement across the construction industry. Estate fencing and metal railings can be used for various reasons: safety, security and demarcation purposes. They need to be strong and robust, but this does not mean that they cannot be aesthetically pleasing. With Alpha Rail there are a number of metalwork fabrication options to chose from and, if required, we are able to create entirely bespoke designs that can incorporate colour and shape to communicate messages and represent ideas. We also offer full CAD design and site survey facilities and can assist you to turn hand drawings and sketches into a 3D reality. Browsing through the galleries on our website you will see many examples of our work and, because each picture is numbered, we’ve made it easy for you to point out a particular design that you may like. 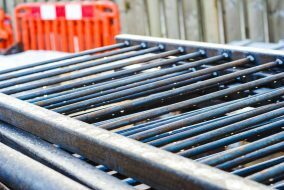 Alpha Rail offers the full service in that we manufacture metal railings, gates, pedestrian guardrail and other bespoke metalwork and can either supply and install them at the agreed location, or we can work with a sub-contractor and arrange on-site delivery. If you need to create a Q40 Specification we are very happy to help and our technical section has a library of downloadable drawings. We often have to work to strict deadlines and within locations where other works are also being completed, as well as in situations where local residents are living nearby. We are happy to work on commercial projects working directly for public sector organisations or alongside architects, building and civil engineers, fencing and landscaping contractors. We also work for private individuals who require a bespoke solution on a prestige residence. We have a loyal customer base who we are proud to say use Alpha Rail time and time again due to our expertise and our commitment to exceptional customer service.